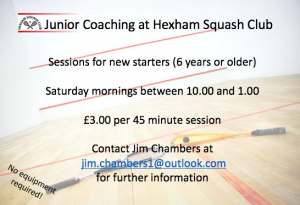 The Squash Section would like to encourage more juniors to play squash and will be organising sessions for new starters on Saturday mornings from 10.00am to 1.00pm commencing Saturday 6 October. The Squash Section can provide all the equipment. We do require participants to wear clean, non marking trainers. 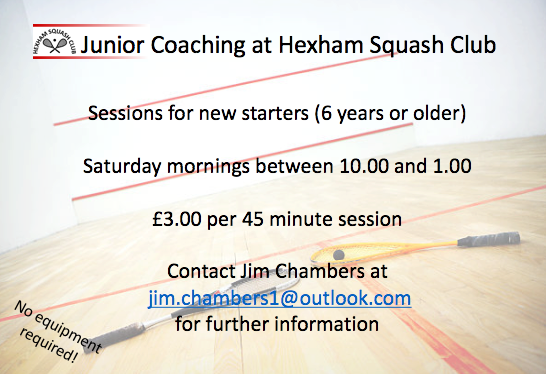 The cost is £3.00 per session which lasts 45 minutes.